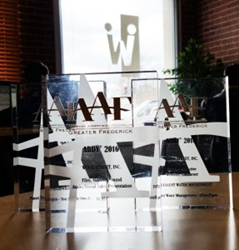 Wood Street was presented three Addy Awards at 2016 American Advertising Federation – Greater Frederick’s Addy Awards Ceremony. Wood Street announces that they were recently presented with three Addy Awards at the 2016 American Advertising Federation – Greater Frederick’s Addy Awards Ceremony. To find more examples of Wood Street’s Award Winning Design and Development work, please visit their portfolio.